Love. Create. Live Life in Style. 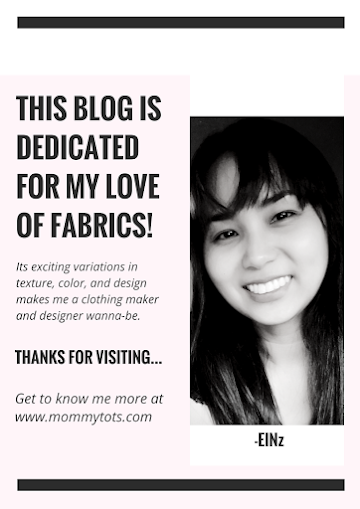 I discover my interest on fabrics during my elementary days. I was 10 when I started to enjoy sewing projects from school. Getting introduced to different kinds of stitches, how to make an apron and completing my sewing kit gives me the feeling of joy and excitement thus giving me the inspiration to continue with my own little projects. I remember I bought a cotton fabric from a classmate whose family has a garment business. From there, I started making dresses for my barbie dolls that gives me a sense of accomplishment and serves as a hobby. I exclusively hand stitched doll dresses and it becomes an addictive hobby that opens the door to other creative crafts.